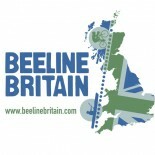 Ian O’Grady RAF helicopter crewman who originally came up with the Beeline Britain challenge sat down to recount some of his thoughts and feelings of the trip from Holyhead to Blair Atholl. At 0500 on Sunday 31st May we left Holyhead for the Isle of Man. Unlike our two massive previous crossings, our psychology for this was completely different. Without the pressure and uncertainty of completing a ‘first’ we set out for this 16 – 18 hour crossing, in high spirits and relaxed. Once again the conditions were very kind to us and we pulled into Port of St Mary after 15 hours of paddling. Unfamiliar with the Isle of Man, the whole team felt the elation of breaking into new ground and the feeling that we were now making significant progress. 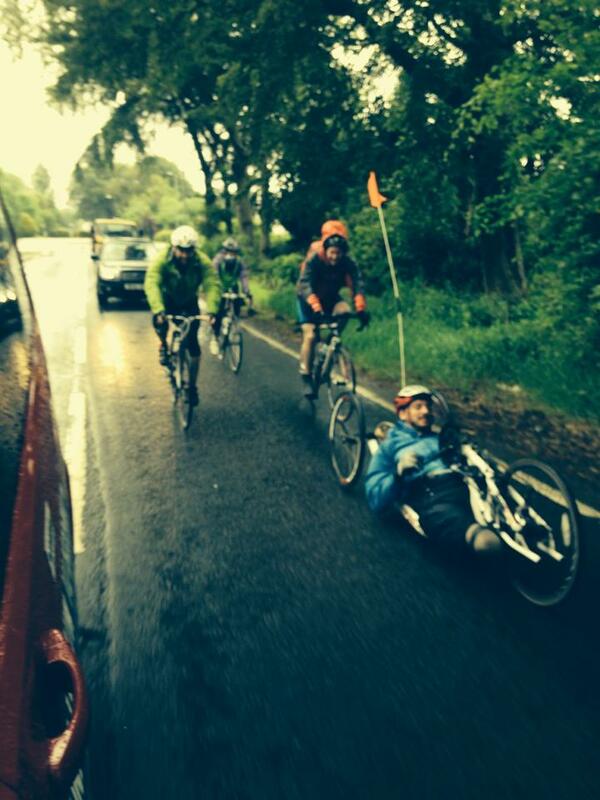 On Sunday 1st June we cycled the length of the Isle. It was much to our amusement and entertainment that we were doing this on ‘Mad Sunday’, the annual opportunity for around 5000 motorbiking petrol heads to speed their way around the TT races course unrestricted. In hindsight it probably wasn’t sensible to join them on the TT course, but it was great fun and not to be easily forgotten! There is a small village in the north of the Isle called Bride. Although only a few houses in size, this marks the geographical half way point of ‘the line’ and we were sure to take a photo and congratulate each other – now we were half way with only a 5 hour kayak crossing between us and Scotland. 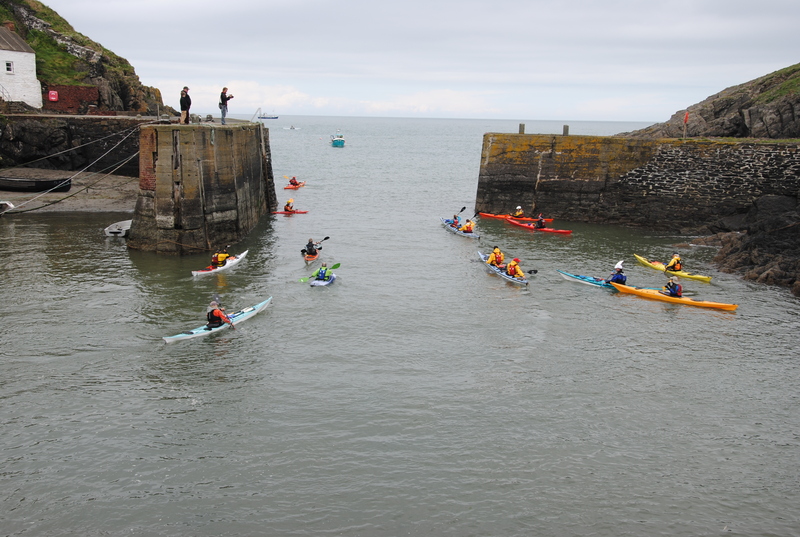 We set off from the Point of Ayre for Scotland around 1700 on Monday 2nd June in favourable but dull conditions and paddled into the darkness. Arriving at the Isle of Whithorn in complete and cold darkness and pouring rain, we knew we’d arrived in Scotland! Now the push really started and we knew we could make up valuable time by cycling long and hard days. Rain, shine, coast and mountain we made our way up through the Galloway Hills, through Central Glasgow, past Crieff and into Blair Atholl. We’ve all been slightly overwhelmed by the generosity and support the Scots have offered to us. We’ve stayed in village halls, campsites and bothies free of charge, were given a free breakfast and a 100 pound donation in Glasgow, been given free showers by Alan and drams of whiskey by Donald, today I even scored a free haircut on the promise of donating the money to BLESMA. 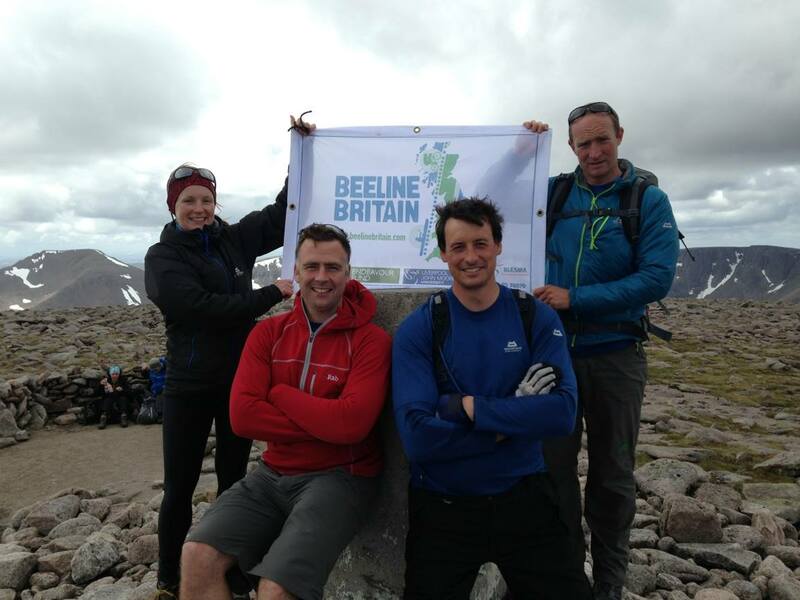 The next few days saw a new evolution and a new challenge for the Beeline team. We exchanged our road bikes for mountain bikes and set off up Glen Tilt and into the Cairngorms . As the physical and mental demands increase in unison with our cumulative fatigue on this epic journey we biked, walked and climbed through one of the highest and most remote mountain areas of the UK. I have no doubt that fellow mountaineers will have seen our team move slowly and deliberately into the mountains and ask themselves why a man with no legs would ever climb a mountain? The answer is simple – because he can. Brilliant piece, Ian. Well done on all accounts. We were so sad not to be with you at the end but we celebrated in style down on the south coast. Donations are still coming in from family and friends! This entry was posted on June 22, 2014 by beelinebritaincrew.